I have now got confirmed dates for the next set of "A Day in the Past" sessions at the Tesco Bar Hill Community Room! :-)Every Monday (except the Bank Holiday) between Easter holidays and Half Term. 10-11am, £4 per child 2.5 -5 years. Younger Siblings Welcome, children must be supervised at all times. Please spread the word. We had lots of fun in the last set, but would love to see a few more little people turn up for some historic fun! Welcome to "A Day in the Past", and thank you for visiting my website. This is a new venture which is still growing, as is this website. 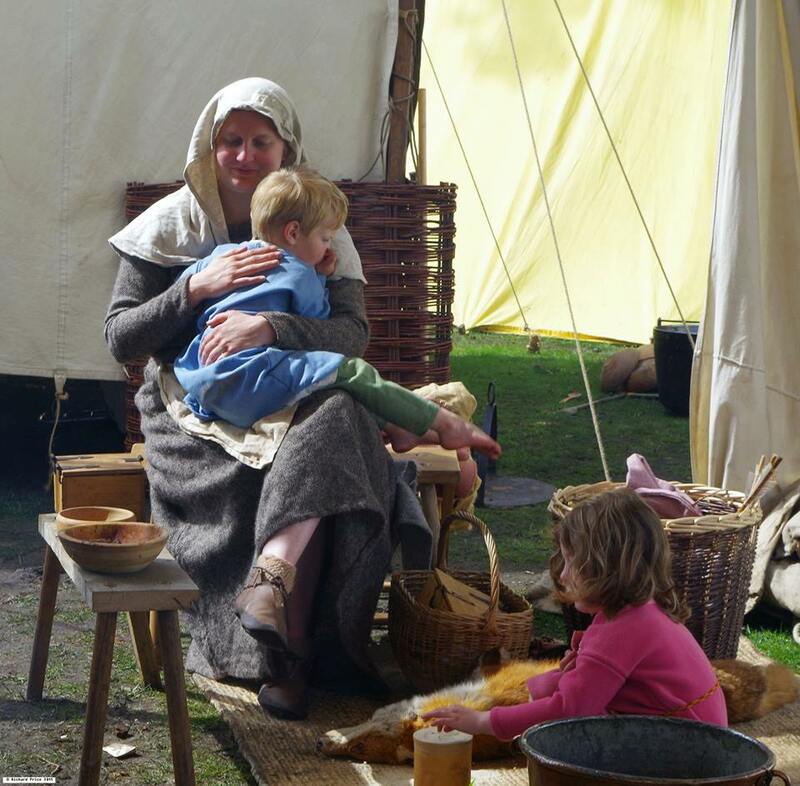 My name is Louise Archer and with “A Day in the Past” I aim to bring history to life for pre-school and KS2 children in a fun and interactive way in the Cambridge area. I use quality replicas of authentic historical items and clothing. Currently I offer experiences for the Roman and Viking/Saxon age, but hope to offer further periods, such as Stone Age, in the future. 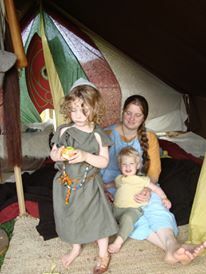 I have been a re-enactor of both these periods for 15 years (Viking) and 10 years (Roman), including 6 years with my own two children accompanying me. Seeing how life was in the past opens up a new and unknown world to children very different to the one they live in. I cover everyday life, such as food, childhood, clothing as well as the military parts of history. For the sessions I will come to your setting with my equipment and dressed in period clothing. I am DBS checked, through volunteering at our local pre-school and have Public Liability Insurance. Please see the calendar on the right for days I am available for booking. If you have any questions or would like to book a visit please contact me by email or telephone.